The Thyroid Secret Documentary is Live! I have been watching The Thyroid Secret documentary by Dr. Izabella Wentz. She has gathered many experts to discuss the many thyroid disorders and diseases, symptoms, patient struggles, and treatments. She opens up about her own experience, from being undiagnosed for over 10 years to her frustrating attempts to develop treatments and go back into remission. Many of you, and myself included, can certainly relate to her experiences. She discusses how conventional medicine seems to know so very little about thyroid disorders. In addition, conventional treatments focus on just treating the symptoms rather than identifying and treating the root cause. Without treating the root cause, patients have a rough road trying to get back into remission. The Thyroid Secret is in 9 parts, each part focusing on a different aspect of thyroid disease. 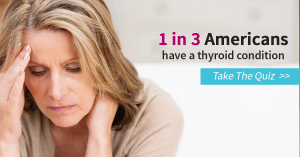 Thyroid Disease Revealed – Dr. Wentz discusses her own personal experience with Hashimoto’s and talks to other thyroid patients. She discusses what these diseases are with several experts and reveals how they affect the body. The Thyroid Misinformation and Misdiagnosis Machine – Dr. Wentz discusses myths and mystery surrounding Hashimoto’s, Graves’, and other thyroid disorders. She fills in the missing pieces of what your doctors rarely tell you about these diseases (mainly because they don’t know!). Unknown Thyroid Therapies – Conventional medicine relies on thyroid hormone replacement and sometimes destructive, thyroid killing “treatments”. Dr. Wentz discusses other little known treatments to reduce inflammation, support your thyroid, and get you into remission. The Truth About Toxins – We come in contact with toxins every day. 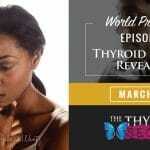 This episode discusses how a toxic environment can affect our thyroid gland. 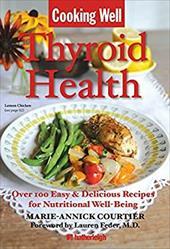 Healing Thyroid Disease With Food – Food can exacerbate your inflammation or help heal it. Learn how you can use food to help heal your thyroid disease. The Stress Sickness – Learn how stress can keep you ill and how your adrenals factor in to your thyroid disease. Motherhood Interrupted – Thyroid disease can often cause infertility or problems with pregnancy. This episode discusses hope for women with thyroid disease who want children. Healing From Within – Learn how to discover the trigger to your thyroid disease and reverse the disease. The Thyroid Success Stories – Dr. Wentz presents several patients who have successfully reclaimed their health. Hurry! You won’t be able to view for free for long! The videos expire by March 10th, but I’ve heard there will be a free Replay Weekend on March 11th – 13th so you still have an opportunity to watch. If you missed it, you can click here to own the groundbreaking Thyroid Secret documentary to watch at your leisure.